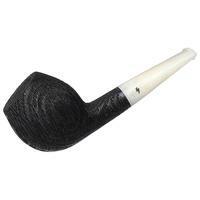 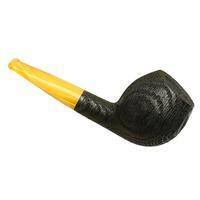 A shape for which Moonshine Pipes have become quite well-known for, the Devil Anse is offered here in the American workshop's typically plump yet compact proportions. 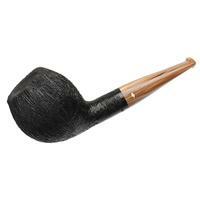 Different than their other offerings, though, this one comes fashioned from jet-black morta, contrasting well against the vivid, dandelion-hued stem. Bowl Height: 1.76 in./44.78 mm. 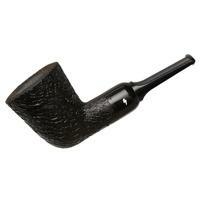 Chamber Depth: 1.45 in./36.74 mm. 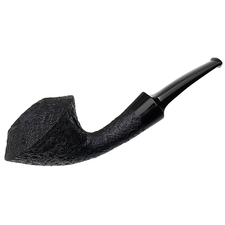 Chamber Diameter: 0.75 in./18.97 mm. Outside Diameter: 1.52 in./38.63 mm.